Yearning for the Bay Area, which she has called home for most of her life, Charissa set her sights on a technology firm’s international business division. She began a campaign to work at Oracle (located less than a mile from her childhood home), and only the international division was acceptable. Her campaign was successful and Charissa began to work in international operations, in what felt like a startup within the organization. At Oracle Charissa learned that she was “pretty good at operations” but preferred to consider the whole picture. While there she met Anneke Seley (who founded Oracle's Inside Sales Division), the founder and CEO of Reality Works. Considering both her own experience at NeXT and observing the Silicon Valley technology startups and failures Charissa saw over and over how implementation, the execution and how you choose and work with your people determined “the wins.” The importance of the team, something that Charissa had always been aware of, became increasingly important in her ultimate role as Director of World-Wide Operations. After NeXT was acquired by Apple (or vice versa to hear Charissa tell the story) she moved on to Director of inside sales at Verity. Wanting to eventually work with and/or for her former boss at Oracle and her informal mentor, Anneke Seley, Charissa deliberately set out to “round out her skill set.” She wanted to ensure that she excelled at both leading and selling at both operations and strategy. During her three years at Verity Charissa’s leadership skills and philosophy solidified. Convinced that “the key to winning is execution and knowing that winning is a team endeavor”, Charissa focused on cultivating and leading teams. Considering her own leadership style, Charissa described herself as “inclusive but decisive.” She wants to hear her team’s perspective, but she is not afraid to make (and own) the final decision. Ensuring that her team knows what they should be doing and understanding why they are doing it forms the foundation of her leadership philosophy. Essentially a thoughtful risk-taker at heart (she asks herself and her staff, “what is the worst that can happen?”) Charissa does not fall prey to paralysis-by-analysis. She laughed that some might call her bossy but when you are the boss that is OK! Making herself “unnecessary” is one of her key metrics for success. If she can create the right processes and team, thereby eliminating the need for her leadership (and freeing her up for the next adventure) then she is being successful. There is no question that Charissa is successful. From a professional standpoint she is in business with a partner that she respects and their organization is sought after to consult with a myriad of Fortune 500 organizations and high technology startups. From a personal perspective she has fulfilled many of her dreams including traveling the globe and owning a home in Southern France. Yet don’t expect Charissa to simply sit back and rest on her laurels. She is happiest when she is learning and leading and she has no plans on abandoning those activities any time soon! 2. 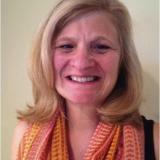 Anneke Seley is a strategic adviser to PAKRA.